Provide comfort for the family of Giuseppe Antonio Fiorillo with a meaningful gesture of sympathy. 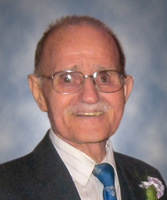 On February 7, 2019, Mr. Giuseppe Fiorillo of Edmonton passed away at the age of 93 years. Left to cherish Giuseppe’s memory are his loving wife of 69 years, Carmina; two sons and one daughter, Philip (Rita), Tony and Tina; nine grandchildren, Joseph (Melanija), Salvatore (Leah), Luigi (Pamela), Frank, Stefania (Christofer), Matthew, Brianna, Marco and Niko; three great-grandchildren, Sofia, Filip and Graziella; one brother and two sisters of Italy, Vincenzo, Carmela and Leontina. Predeceased by his daughter, Anna; son-in-law, Aldo; parents, Filippo and Maria; and brothers, Francesco and Armando. Funeral Mass Tuesday, February 12 at 10:30 a.m. at Santa Maria Goretti Roman Catholic Church, 9110 – 110 Avenue, Edmonton. Reverend Domenico Rettura CFIC officiating with interment in Holy Cross Cemetery. We encourage you to share your most beloved memories of Giuseppe Antonio here, so that the family and other loved ones can always see it. You can upload cherished photographs, or share your favorite stories, and can even comment on those shared by others. Tony, I am sorry to read of your dad's passing. My condolences, to you and your family, from an old friend, Ray Vallee.